Zinc has a number of applications as cathodic protection/corrosion prevention. In addition to applying zinc-rich wet-paint (Metalix) and zinc powders (Galvacoat Steelcoat), at Metalix we also have available large metalizing systems: 25 m x 8 m x 4 m with a lifting capacity of 30 tons. With galvanization, a zinc wire is made fl uid with a blaze gun (after blast cleaning to a coarseness of Sa 3) and applied to the piece, after which it hardens. 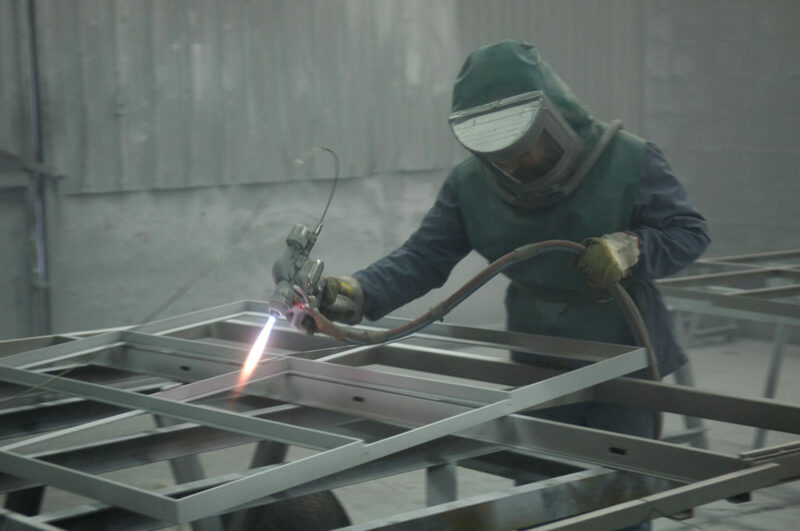 In the Netherlands, the term “schooperen” (metal spraying) is used. In contrast to the thermal galvanizing, the size of the caisson does not matter. Less heat is introduced (and thereby less chance of warping). The increased coarseness ensures an excellent base and good adhesion of the coating. There are no raised welding seams, no drips or pins. 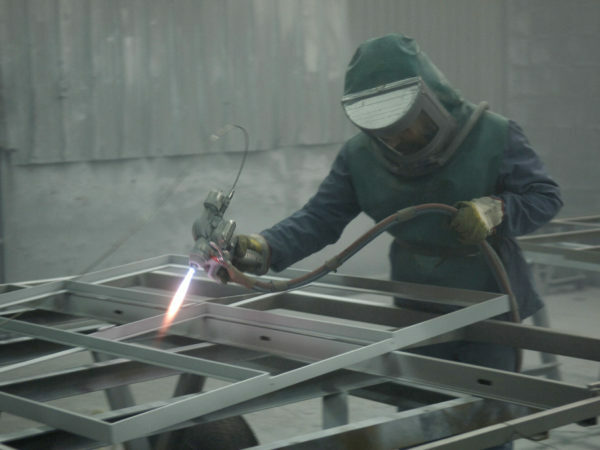 You are less dependent on the type of steel used and there are no holes for ventilation or inlet or outlet, which is the case with thermal galvanization. 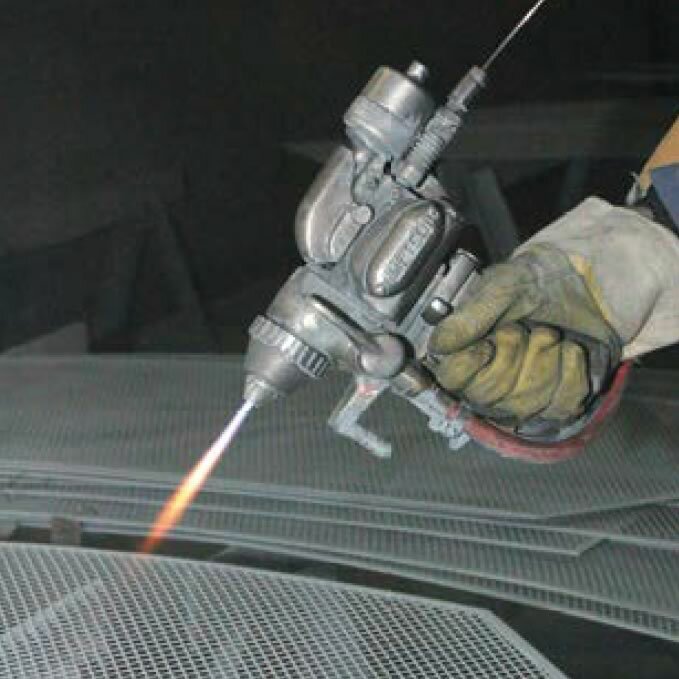 There are no costs for preparing for the coating application required for a final smooth and clean coating. Thermal galvanization offers other advantages, such as the internal protection of hollow areas and the closure of cracks. We can offer this as well, in combination with our galvanizing partners. We are located in a region where there are several galvanizers. Thus the transport costs are minimal. Do you have a question or require more information on metallisation - galvanisation? Blasting, chemical pre-treatment and powder coating of steel. Chemical pre-treatment and powder coating of galvanised steel and aluminium. 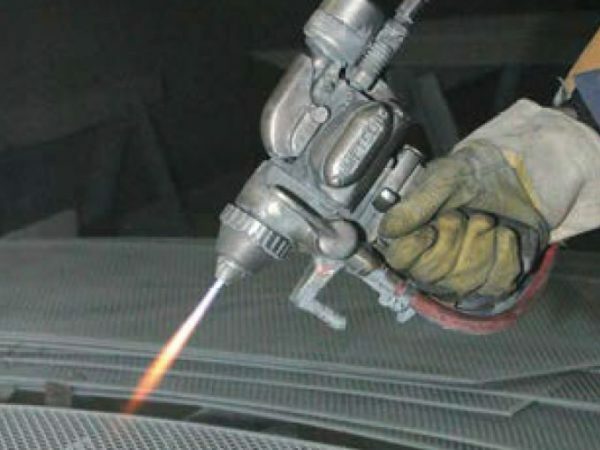 Blasting, metallisation of steel, automated blasting and welding primer, liquid paint.